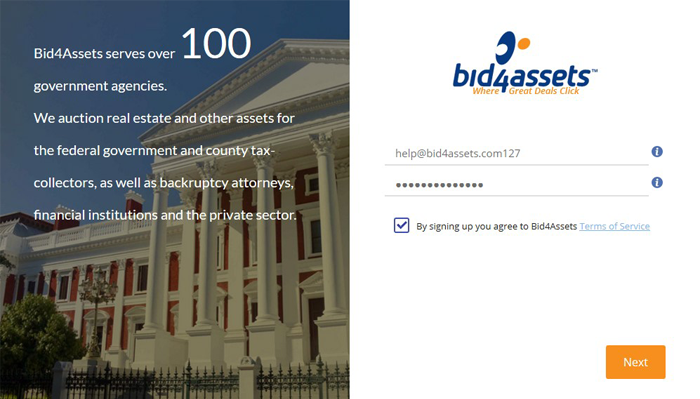 What does a Bid4Assets Account do? 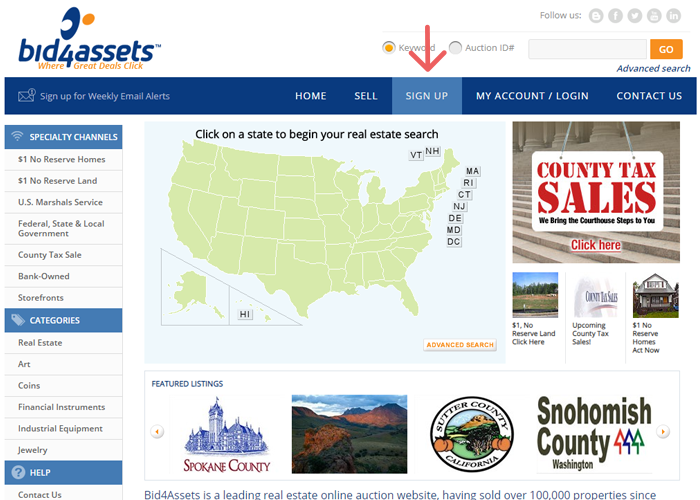 A Bid4Assets account is required to bid on every auction on the website. It also gives you the ability to apply for our seller program and submit bid deposits for government auctions. What does a Bid4Assets account cost? Nothing. Registration is free and there are no monthly fees required to maintain your account. To begin the registration process, go to the homepage of Bid4Assets and select Sign Up located in the TopNav. You will be prompted to create a username and password. Your password will be what you use both to login to your Bid4Assets account and to confirm bids. Note: After you select “Next” a verification email will be sent to you. You will need to go to your email address and open the verification email to activate your account. Next, you will need to enter your first and last name, as well as create your username. 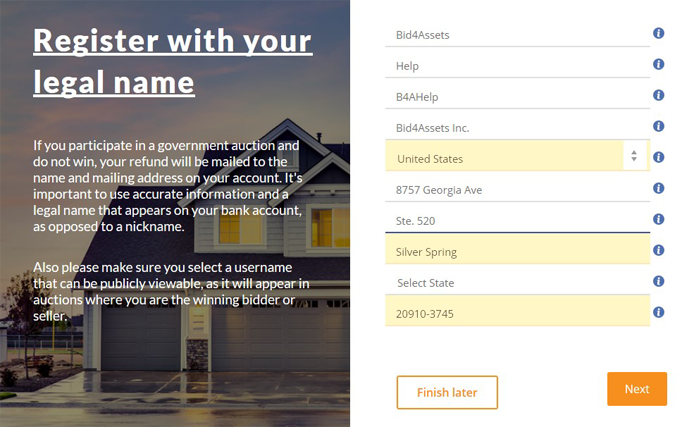 Your username will be used to login to your Bid4Assets account. It will also be displayed if you win an auction or list an auction as part of the Bid4Assets seller program. Note: The address you place on file will be used if Bid4Assets needs to send refund checks to you. If you would like refund checks to go to your corporate address rather than your private address, place that address on file here. 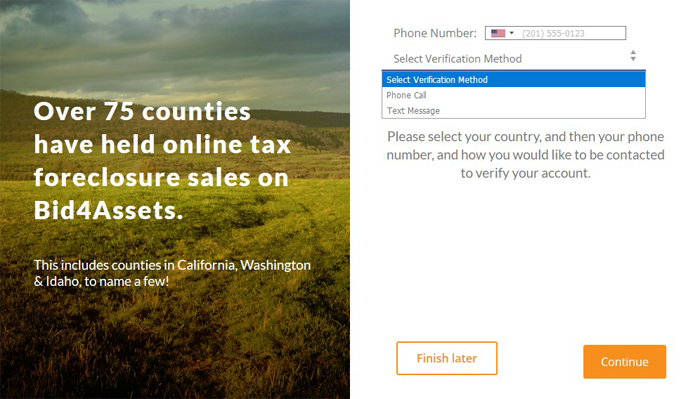 Finally, you will need to enter and verify your phone number to activate your account. You can verify the number by either text or phone call. Start Bidding on Bid4Assets Today!